Obituary for Mary E. (Peabody) McMahon | McClellan-Gariepy Funeral Home, Inc.
Cambridge- Mary Elizabeth McMahon, best described by friends and family as fiercely independent and strong-willed, passed away on Dec. 31, 2018 at Southwestern Vermont Medical Center in Bennington. Born on January 27, 1937 in Cambridge, Mary was the daughter of the late Charles and Jennie (Hatch) Peabody. She is predeceased by her sisters, Evelyn Annis, Margaret Kennedy, Shirley McLean and her brothers, James and Thomas Peabody. She was a graduate of Cambridge Central School. As a young woman, Mary worked at the Cambridge Hotel for Mr. and Mrs. Gann. It is there that she met lifelong friends Johnny and Ike. She worked for Billy Thomas at Bill's Restaurant. She loved to play jokes on Billy; she would move the hands on the clock forward so that she could get out of work early, and then she would laugh about it. Billy would call and give her heck, and she would laugh more. Billy too became a great friend. Mary spent many years working as a bus monitor for Cambridge Central School and rode on the buses with her great friends Bonnie Peters and Donny Hayden. A woman with a mind for business, Mary also owned and operated the Union House Restaurant and multiple apartment buildings. Mary enjoyed being outside tending to her pool, horses, and her perennial gardens. She was very active in the Cambridge Central School Booster Club and the Cambridge Saddle Club. She enjoyed traveling, but also enjoyed routine. 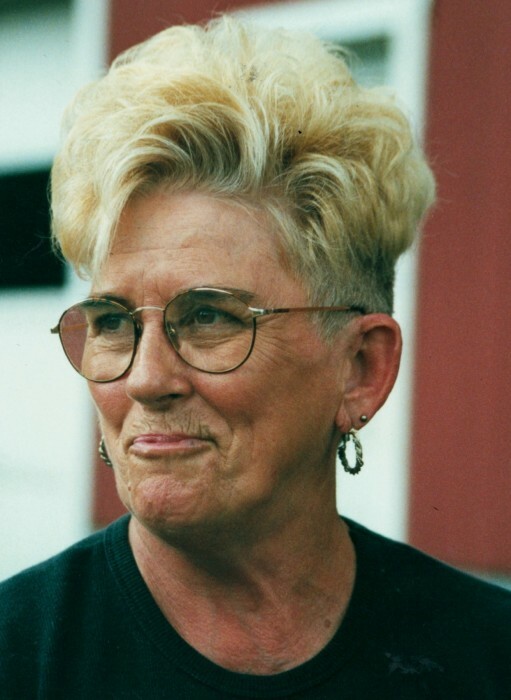 On Fridays after work she would get her hair done with her favorite hairdresser, Alan Watkins, and then meet her best friends, Jackie and Kenny Hersey, Joanie, Jane, and Rita at the Bog for a Bog burger and a beer. Mary is survived by her two children, Terrance (Ingrid) and Sandy (Al); her grandchildren, Sean (Regina) and Jason (Asia); her great-grandchildren, Amber, Jack, and Aslin; and her brother, Lee (Jean) and her sister, Norma; and several nieces and nephews. She will be forever missed by her family and the many who knew her well. Memorial donations in Mary's name can be made to Cambridge Valley Rescue Squad, 37 Gilbert Street, Cambridge, NY 12816 or to Gerda Equine Rescue, 5825 Rte. 30 Townshend, VT 05353.